Continuing my posts about London’s famous cemeteries, St Brides church, in the City of London, is a historic burial ground. Like many of its kind, it is an overcrowded necropolis – at least below ground level. 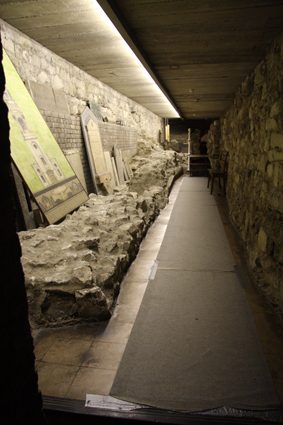 When diarist Samuel Pepys buried his brother Tom in the church in 1664, the vaults were so full he had to bribe the gravedigger to "justle together" the corpses to make room. St Bride's is one of London’s most ancient churches. Although the building that stands there today was designed by Sir Christopher Wren in 1672 after the Great Fire of London, the first church to stand in that spot was built in the 6th or 7th Century. It is said to have been founded by Saint Bridget of Kildare, from Ireland. An ancient well at the site probably pre-dated the Christian church and may have been venerated as a pagan sacred spring. According to legends of London, St Bride’s well is connected with the Celtic goddess Brigid or Bride, patron of poetry, the hearth and the fires of the smith’s forge. In stories and symbolism, the saint and the goddess are intertwined. Both are associated with perpetual flames and also healing wells. 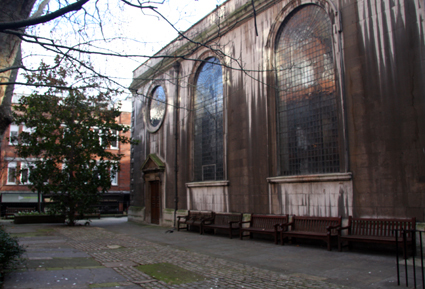 St Bride's church has also long been linked to journalists and newspapers, not least because of its location on Fleet Street – historic home of the Press. Its association with the newspaper business began in 1500 when Wynkyn de Worde set up a printing press in the building next to it. Until 1695, London was the only city in England where printing was allowed by law. During the Blitz in the Second World War, the church was gutted by fire-bombs dropped by the German Luftwaffe. The devastation revealed the building’s Saxon foundations, which had long been lost. 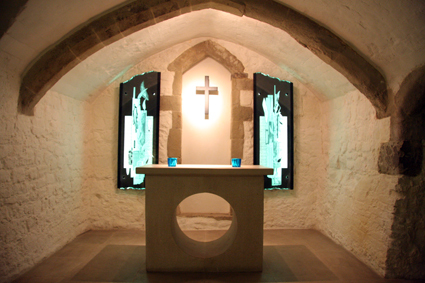 After the war, newspaper proprietors and journalists raised money for the church to be rebuilt, but the crypt is still open to the public. 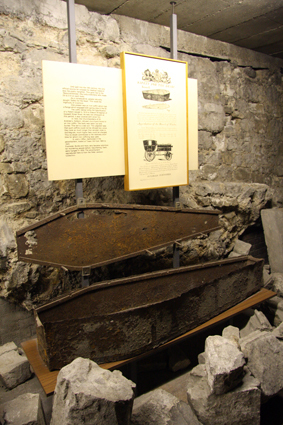 It contains ancient Roman relics as well as nearly 230 lead coffins with plaques dating from the 17th, 18th and early 19th centuries, filled with the bones of parishioners. 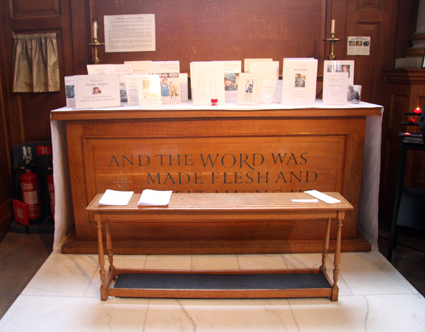 St Bride’s Church also stands on important London ley lines, according to the book London’s Ley Lines by Chris Street. Alfred Watkins, who came up with the idea of ley lines – or historic straight tracks that link sacred sites – noticed St Bride’s is on a line that links “St. Paul’s Covent Garden, The Temple, St Bride’s Fleet Street, a church on Ludgate Hill, one near the Guildhall, St Stephens, Coleman Street, all align to St Botolph’s Bishopsgate”. Chris Street points out that St Bride’s is also very close to the St Paul’s Ley and stands on an Earthstar – a huge five-pointed star shape that connects historic sites with mystical significance across London. Right at the far end of the vaults under St Bride's, along a narrow and rather spooky passageway lined with old coffins, is a tiny square underground chapel. It has the most wonderfully peaceful atmosphere and is a lovely place to spend some time meditating. According to Chris Street, a small door from this chapel probably leads to the ancient well house. The door is locked and whatever lies beyond it is not open to the public.